Cardiff, 3rd July 2015: Hosted by DHL, the Official Logistics Partner of Rugby World Cup 2015, and with less than 100 days to go until the Opening Match, the Webb Ellis Cup visits Cardiff as part of its UK and Ireland tour, marking the final countdown to this year’s showcase tournament. 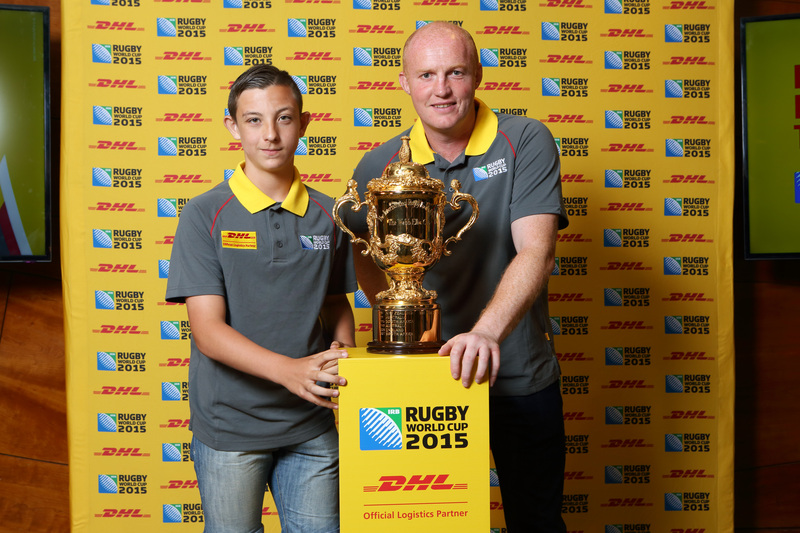 As The Official Logistics Partner of Rugby World Cup 2015, DHL will assume responsibility for the logistics for one of the biggest international sporting events, which will take place in host country England over six weeks with a total of 48 matches in 11 host cities. DHL will be responsible for the delivery of Tournament and team equipment weighing 39,400kg from around the world to a selection of UK bases. Over the tournament DHL estimates it will travel 91,050 miles.